An early plantation temple that has been remodeled to serve as a retreat and guest house, the upstairs has a meditation hall dedicated to Tara, the female aspect of enlightenment and activity. The retreat and guest house offers a very special space for individuals and small groups who want a quiet, peaceful atmosphere to relax, meditate and reflect on life. It is an ideal destination for people to experience rural Hawai'i, away from the crowded tourist areas and resorts. Nestled in an old eucalyptus forest, in Ka`u on Hawai`i Island, the beautifully landscaped grounds are a natural extension of the environment and gardens filled with tropical flowers, plants and exotic fruits. Thank you for your inquiry to stay at the Wood Valley Temple Guest House! We will be in touch shortly by email to confirm your booking details. 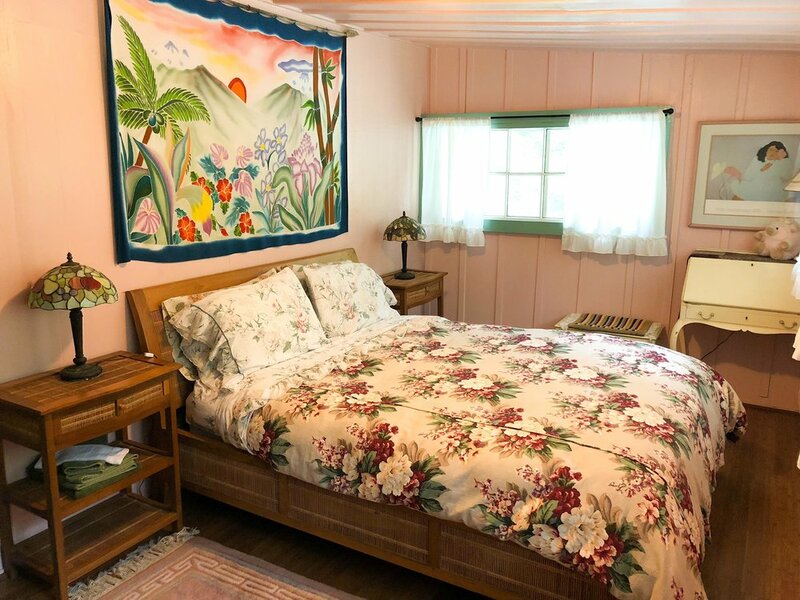 The Hawaiian Room is our second largest room with a queen bed and decor of Hawaiian seascapes and vintage prints. Named for the Hawaiian ohia lehua flower, seen growing in the area of Ka`u. 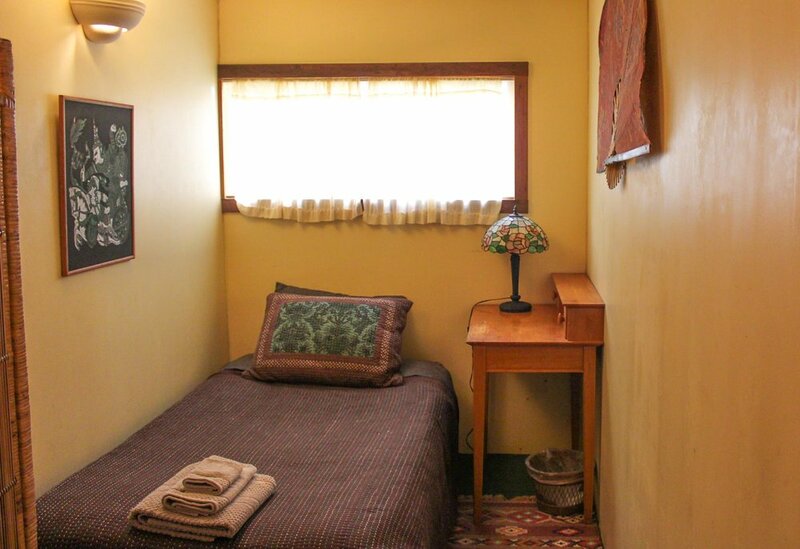 This room is bright and airy, located on the first floor of the guest house, and shares a restroom. A peaceful stay in the Far East with double futon bed, tansu and shoji lamps, decorated with symbols of dreams and longevity. This room can be combined with the Rose Room for a two bedroom suite with private bath. The suite is located behind the meditation room on the second floor. Inspired by travels to Bhutan, photos of the Himalayas, Bhutanese weavings, auspicious symbols surround you in the Dragon Room. It is a tiny space for the simple renunciate, located on the second floor, directly off of the meditation room of the Tara Temple. Inspired by travels in India, spend nights in Rajastan & Kashmir in our largest room. 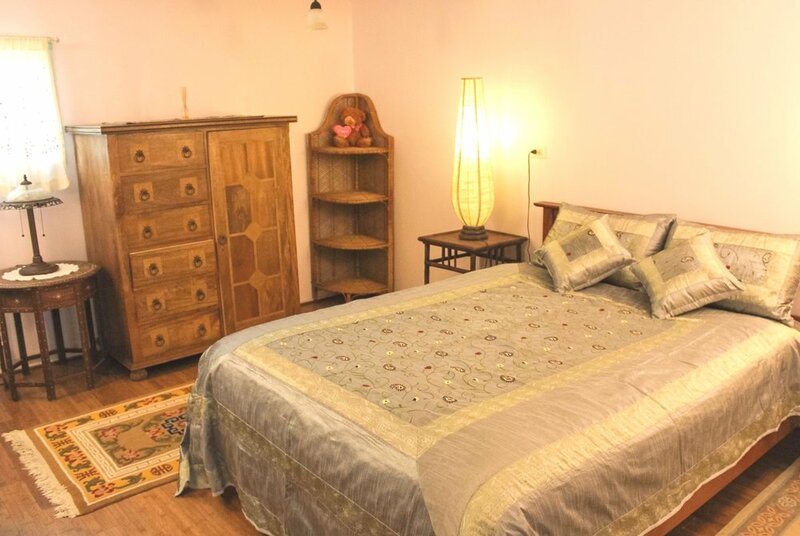 It has a queen bed, exotic wall hangings & batiks in a lavender mist. Great for one or two people. This room is located on the first floor and shares a restroom. The Orchid Room is inspired by travels in Bali has a single futon bed, surrounded by art of gods, garudas and golden phoenix. Perfect for a peaceful getaway of reflection. This room is located on the first floor and shares a restroom. 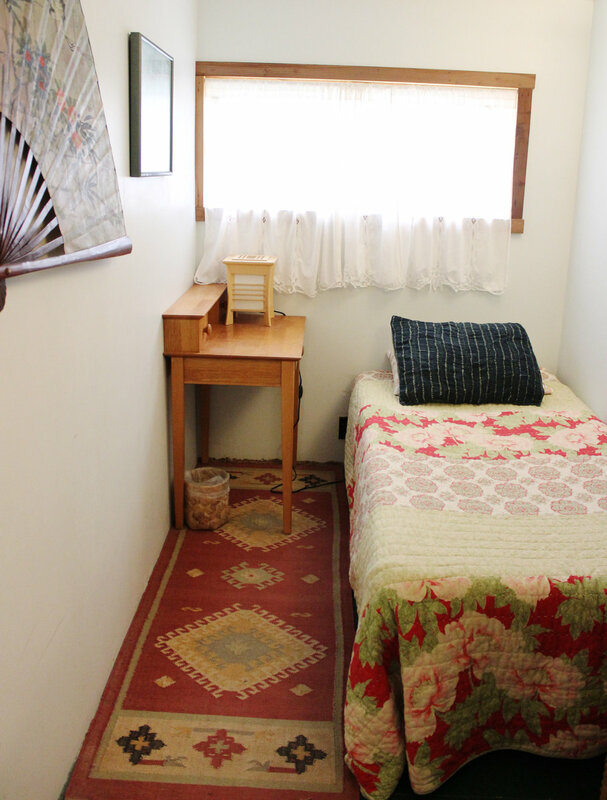 These rustic dormitory–style rooms are great for the backpacker or as extra space for participants in group programs. Both of these rooms are on the first floor. 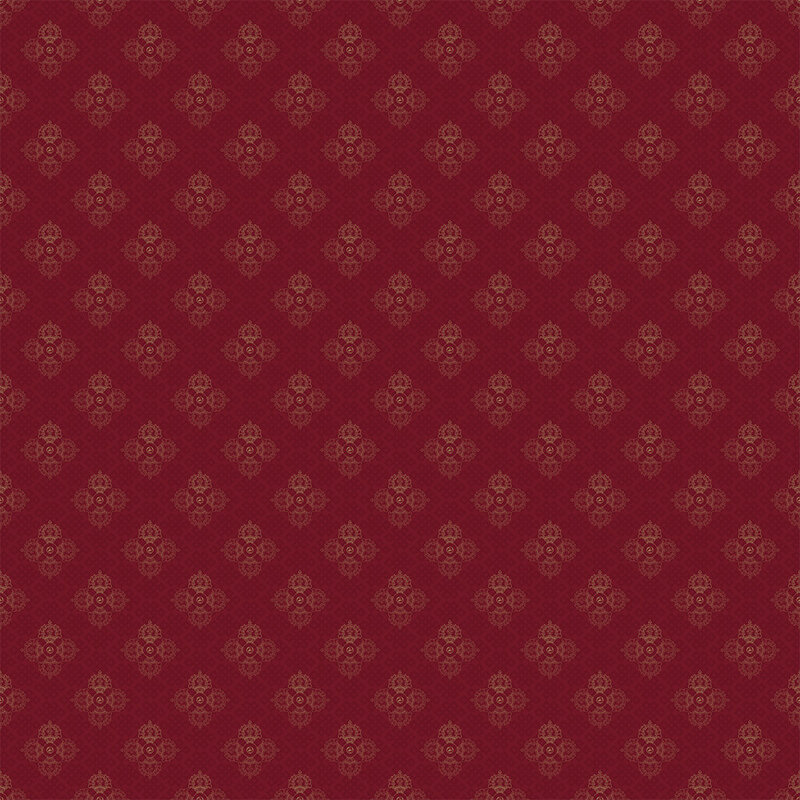 Painted the color of a rose the Rose Room is reminiscent of vintage Hawaii with a queen bed and rattan & teak furnishings. 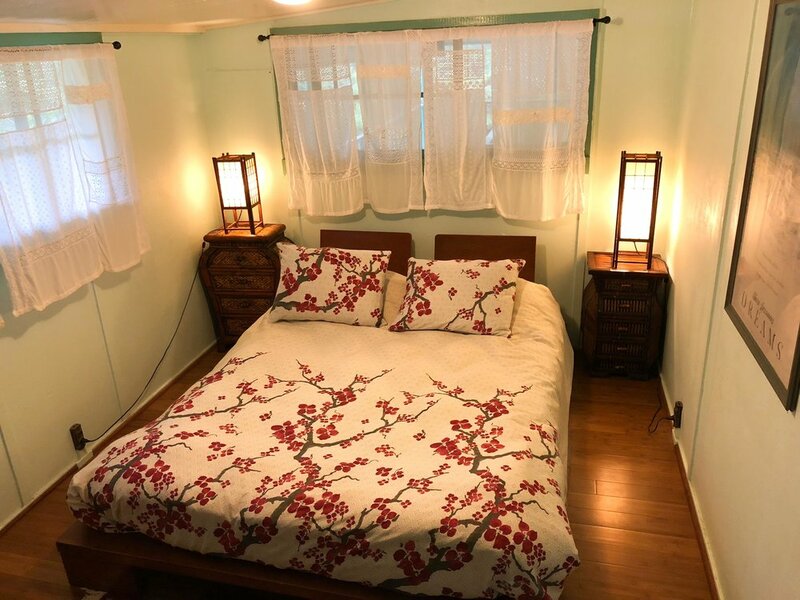 This room can be combined with the Cherry Blossom Room for a two bedroom suite with private bath. The suite is located directly behind the meditation room on the second floor. The Peony Room is inspired by travels in China has a single futon bedand is decorated with Shanghai girls from a vintage era and mockingbirds on bamboo. Perfect for a solitary getaway of reflection and meditation. This room is located on the first floor and shares a restroom. Book the entire guest house for your workshop or retreat with beds for up to 16 people, a meditation room for large meetings, a full kitchen, three full bathrooms, and communal living spaces to relax or study. Learn more about group bookings. There is a two night minimum stay for individuals and three night minimum for groups. A full kitchen is available for guests use. Please bring supplies for your meals. 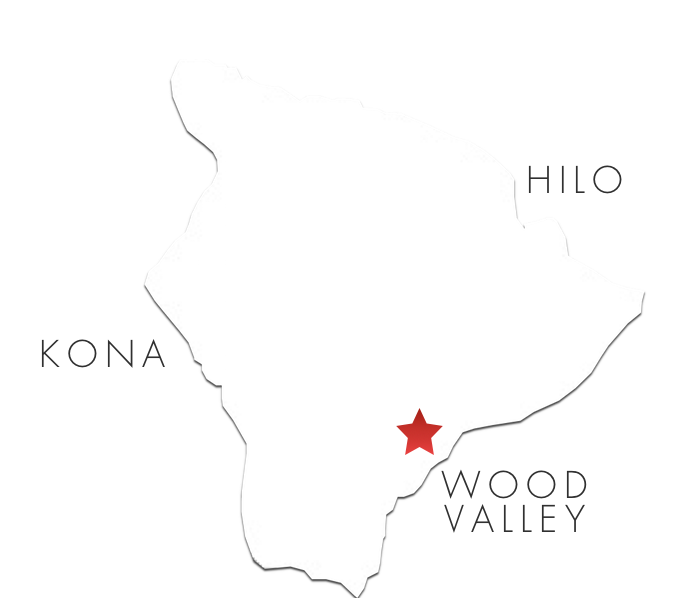 There are local cafes in the nearby town of Naalehu and several good restaurants in Volcano Village. There is no daily housekeeping service. All guests are requested to maintain shared public living areas. Fresh sheets and towels are available each week for guests with longer residences. Guest house visitors have access to the Tara Temple meditation room upstairs, lanais, library, and all other common areas in the house. Guests are encouraged to walk the grounds and enjoy the koi pond and the Nechung Dorje Drayang Ling Temple. We aim to provide a place of peace and quiet, therefore there is no phone, WiFi, or television service in the house. There is also no air conditioning or heating in the rooms. Nights can be cool, but the temperature is usually comfortable. To have the entire Guest House to yourself and your group, please click here. A $5 donation is requested per person from day visitors to the Temple grounds, which do not include access to the guest house. The guest house is exclusively for overnight guests and retreat groups only. Groups and organizations are requested to make arrangements for a temple visit in advance. A valid credit card number is taken with a reservation. The full payment will be taken upon arrival. Payments may be made with any major credit card or cash. Cancellations after 3:00 PM on the date of arrival and "No-Shows" will be charged for one night of the room(s) booked.